happy friday, everyone! i hope you’re all looking forward to a weekend of parties, costumes, and – in my case – eating far too many tiny candy bars. i’m still in heavy-duty “cozy fall” mode, and what i’m coveting now is ugg’s new venture into knitwear. 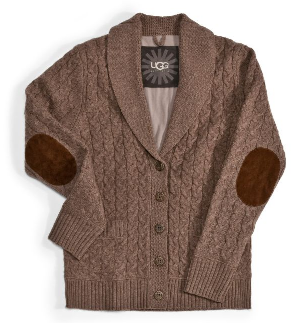 their chic snuggly grandpa cardigan ($295) has my name written all over it. and check out those suede elbow patches! the whole collection is simple and perfect, and nearly makes up for the footwear trauma they’ve inflicted on me in the past. oh, jonathan adler…the things you do to me! he’s just released several new additions to his infamous menagerie, and i love them all. 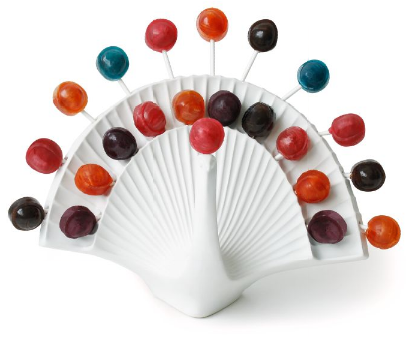 if i had an office, you can bet your bottom dollar this peacock lollipop holder ($98) would already be on its way to me. alas, i’m not sure having that many tootsie pops around without someone besides me to eat them would be good for my sugar intake. more coats…and this mackintosh trench, at $1,175, is purely lust-only. but really, that houndstooth plaid, and the classic fitted styling? unbelievable. now if only j.crew could stop including insanely expensive items on their site…i get way too excited seeing something this gorgeous and thinking it’s within reach. 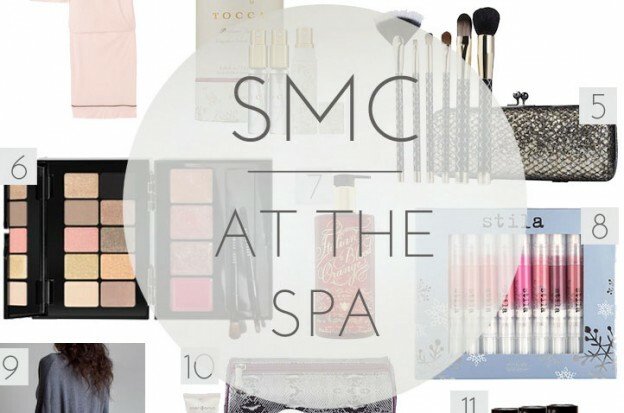 i’m feeling a bit guilty for foregoing my annual ‘breast cancer awareness product lineup’ feature this year. i just get a little tired of seeing the same old stuff being dyed pink each october. but these emily elizabeth earrings ($50) caught my eye big time, and they deserve a mention before the end of the month. at last, a chic way to display that infamous pink ribbon. i love the rose gold, i love the sweet little studs, and i love that proceeds go to the “feel your boobies” foundation. and last but not least, a query for you dear readers. are these cole haan loafers as cute as i thought they were at first glance, or are they too white, making them look like something a nurse would wear? (no disrespect to those of you in the profession….but really, the clown-print scrubs are tricky). i realized i’d actually bookmarked a very similar version from prada to torment you all with, but these are strikingly similar for considerably less. thoughts? (hint: cole haan’s on the left, prada’s on the right). let me know your thoughts, and have a fabulous halloween weekend, everyone! here’s to a fantastic sugar coma! 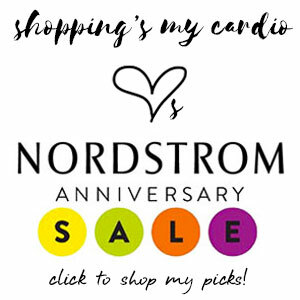 This entry was posted in fashion, friday finds, home design, jewelry and tagged cole haan, emily elizabeth jewelry, j.crew, jonathan adler, prada, ugg on 29 October, 2010 by shoppingsmycardio.